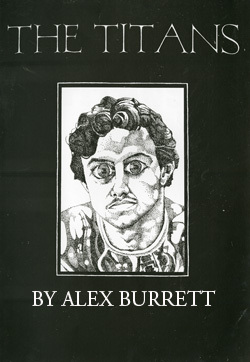 The Titans | The works of author Alex Burrett. 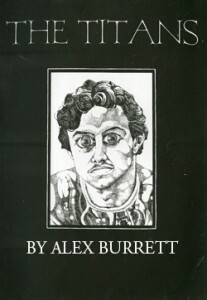 In 1991 (based with the British Army at the Maze Prison in Northern Ireland), I wrote a novel called ‘The Titans’. An international publisher loved it – but wanted changes. Young[er] and headstrong, I refused. Six months later they wanted to know if I’d changed my mind. Still young[er], still headstrong, I hadn’t. 22 years later I have mastered ‘The Titans’ for all ebook platforms. Axel Williams is a pre-pubescent megalomaniac who heads a well-established gang. His leadership is undermined by the arrival at his village school of Eddy – a power-hungry city kid. The two young bucks are destined to lock hornless heads from the moment they meet. See the contest for supremacy through Axel’s eyes – from innocent beginning to bloody end. Smashwords: HTML, Epub, Kindle, PDF, RTF, LRF, PDB. Free-ebooks: HTML, PDF, TXT, ePub, Mobipocket, Email.